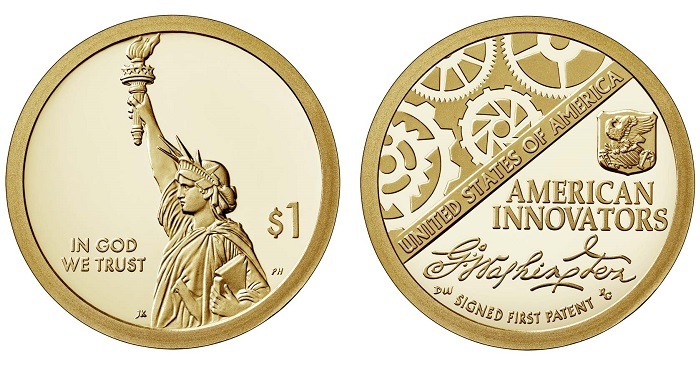 The United States Mint’s American Innovation $1 Coin Program is set to release its first coin on December 14. 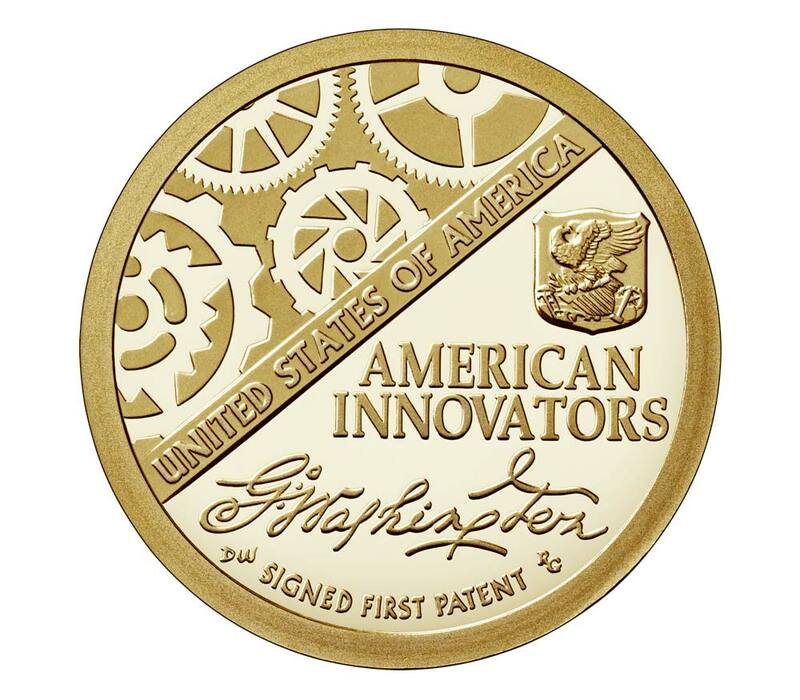 The 2018 American Innovation $1 Proof coin (18GA), minted at the San Francisco Mint, is the first in a series that will produce unique coins for each of the 50 states, in addition to the District of Columbia and various U.S. territories, to honor and commemorate American ingenuity and innovation. The first coin features a lettered edge, a Proof finish with sharp relief and a mirror-like background with frosted foregrounds, and bears the mint mark of the San Francisco Mint. Subjects featured on the coins may be individuals or groups associated with innovation in any of the 50 states, the District of Colombia, and U.S. territories such as Puerto Rico and Guam. Currently, the coin’s price is listed as $6.95 on the Mint’s website and there are also no mintage, product, or household order limits. The reverse design features stylized gears representing industry and innovation, in addition to the signature of President George Washington. Inscriptions include UNITED STATES OF AMERICA, AMERICAN INNOVATORS, and SIGNED FIRST PATENT. 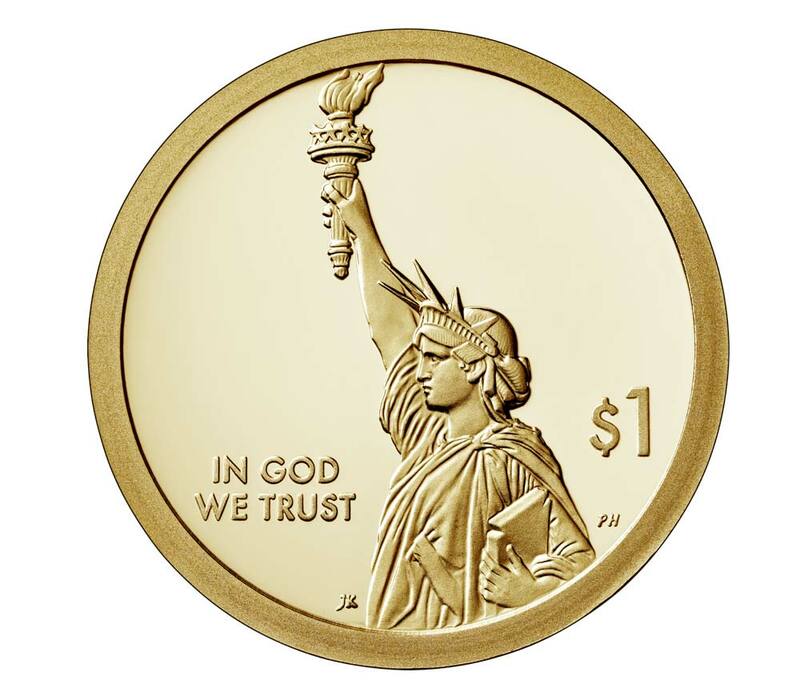 The obverse displays the Statue of Liberty in profile with the inscription IN GOD WE TRUST and the denomination of $1. The edge includes incused inscriptions of the mint mark, the year of minting, and E PLURIBUS UNUM. Each coin is accompanied by a certificate of authenticity. 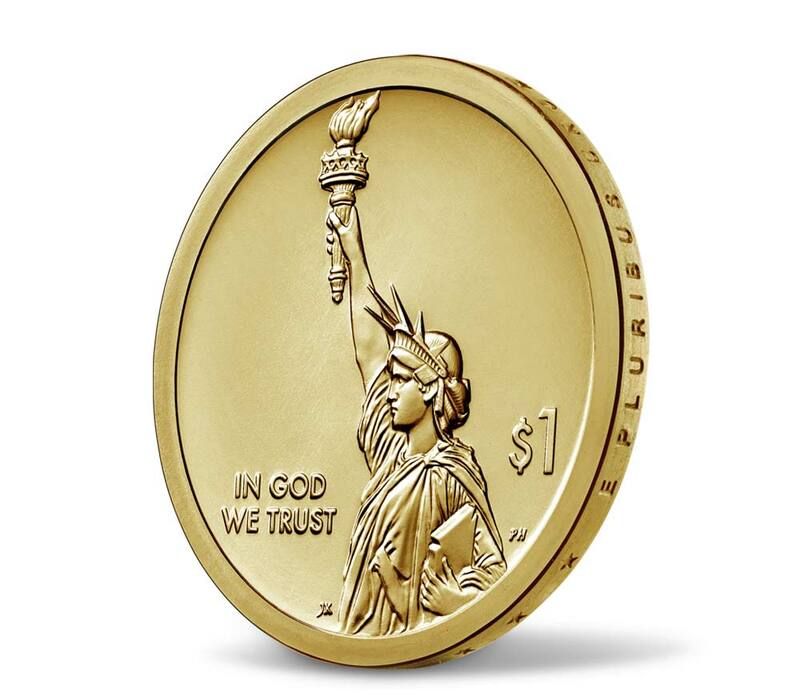 For more information about the 2018 American Innovation $1 Proof coin, please visit the website of the United States Mint. A junk clad proof coin selling for $6.95 !!??? Obverse is ridiculous, overused, and reverse is too crowded……NO CREATIVITY IN PRODUCING THIS COIN !!! NOT BUYING ANY FOR THE 14 YEAR CYCLE….KEEP ‘EM !! !